Highest Quality European whipped cream chargers, Ultra-Purewhip is produced by the Austrian company using utilizing the latest filtration technology for ultra purity. 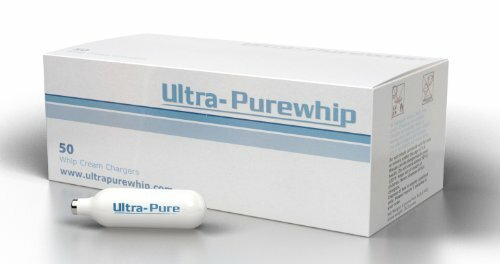 Ultra-Purewhip is delivered to this market with the idea of offering the purest nitrous oxide whip cream cartridges for the connoisseur. Always guaranteed for a full charge, you will not discern any taste in even the most subtle whips. Crafted in Europe's newest and most modern facility in either Vienna, Austria or approximately 40 miles in a new facility in Czech Republic, you will not be disappointed with the quality of this product. Nitrous Oxide gas that is used in the production is from one of Europe's pharmaceutical gas production companies to assure the highest quality for consumption. Try this brand and notice the difference.